BUDGET FRIENDLY Girly + Feminine Fashion Haul + Designer Shoe Reveal! Recently, I posted a youtube video about the recent outfits I've gotten since there was a huuuuuge sale going on on Dorothy Perkins and I was given some birthday money from May that I hadn't spent yet. Here is a list of everything that I got with a link if anyone is interested in the pieces that I showed! On the 9th of August a lifelong dream came true. And here is how. This story features a lot of ups, downs, and bad grades. It is a very real and raw account with no sugar-coating. I was never the smartest individual but I was always a big dreamer. I wanted to be a million things at once but most importantly, I wanted to become a physician. I moved to the UK the summer before Year 9 (8th grade). The new culture and academic style of teaching and testing took some getting use to. During my 'end of year finals/exams' in Year 9, I performed well/average in some subjects (sciences, languages, and english literature and language) and poorly in others such as maths, history, and geography. You can only imagine the talks I got from my parents regarding my grades. It was very disheartening. I felt like my desires and dreams were slipping. I felt average. Come Year 10 and 11, I did my GCSEs and performed exceptionally well. My confidence, self-belief, and motivation to learn increased. Unfortunately, when it came to deciding my A level subjects there was tension so all those positive vibes vanished. If you are planning to choose your AS and A2 level modules: do not pick subjects you know you will not enjoy or will struggle with. Personally, I did not enjoy Biology A level a fraction to how much I enjoyed it at undergraduate. Undoubtedly, there are subjects we have to take to pursue our interests. For medicine, it is mandatory to take Chemistry and Biology. Most end up taking the three sciences or chemistry, biology, and mathematics. Ideally, I wanted to take Biology, Chemistry, Physics, and Spanish with intention to drop Physics at AS if I was really struggling. However, I was told to take Biology, Chemistry, Physics, Maths and Further Maths. Totally not what I planned. Maths and Further Maths were difficult. Numbers made me feel uncomfortable. It was near impossible to understand all the concepts at the speed we were meant to. On top of that, Physics A level was nothing compared to GCSE Physics which I got 100% in which was, quite frankly, peanuts. I was really struggling in Physics AS+A2 and it was taking up so much time to the point that it affected my Biology and Chemistry A levels. Hence, my AS marks were very pitiful. I got a strong B in Physics which showed no hope of turning into an A at A2 no matter how many times I retook my EMPA/ISA/Practical. As we know, it is a must to have three As at A2 which included Biology and Chemistry in order to get into medical school. Had I taken the subjects I wanted to, i.e Spanish instead of Physics, I could've given myself a better chance at excelling in Biology and Chemistry whilst enjoying Spanish. Eventually, I managed to convince my parents to let me drop further maths and just do maths AS. I got a B in AS maths by the skin of my teeth. This really knocked my academic confidence. Truth be told, I was putting in the hours of work: no TV, social media, phone, or even extracurriculars. Thats why it is so vital to choose your A levels (beyond Biology and Chemistry in case of medicine or dentistry) carefully to ensure you don't have a domino affect like I did. Quick note to mention. At the time of applying for University in 2013, I was classified as an international student. That means my fees for clinical courses were significantly higher compared to UK/EU applicants. I would be paying anything from £36,000-£45,000 a year. Therefore, I would be paying at least £210,000 for my degree. On the other hand, I was encouraged to apply and go to India to study because they train you to take the USMLE and pursue residency in America. That costs an NRI anything from $150,000-$207,000 per YEAR for 5-6 years. Finally, I need not mention tuition fees in America despite being an American Citizen. Thus, although my route to medical school is not traditional, the financial strain is significantly less and I have more qualifications under my belt that I can utilise to broaden my horizons. This is especially with regards to research wherein I have an avid interest. I managed to secure a BSc (Hons) at the University of Bristol to study Cellular and Molecular Medicine. Lab work and research was a huge driving force and motivator for me to study medicine because of the research opportunities it opens up. In my desi family, my father showed quite little support initially as he saw it as a 'failure to get to med school' course. I was teased and made fun of a lot for my degree during my time at Bristol amongst the South Asian community (by doctors, lawyers, and engineers). I didn't give myself the amount of attention and care that I deserved which showed in my third year marks that brought my average down. I was so caught up in what everyone else wanted, I lost my sense of self. Remember everyone: it is okay to be selfish and work on you. No one else will support you and encourage you as much as yourself. I was in a very bad place mentally and physically but I came out with an Upper Second Class Honours which allows me to apply to a majority of UK universities for graduate entry medicine bar some that prefer students with a first and opens the door to every job. 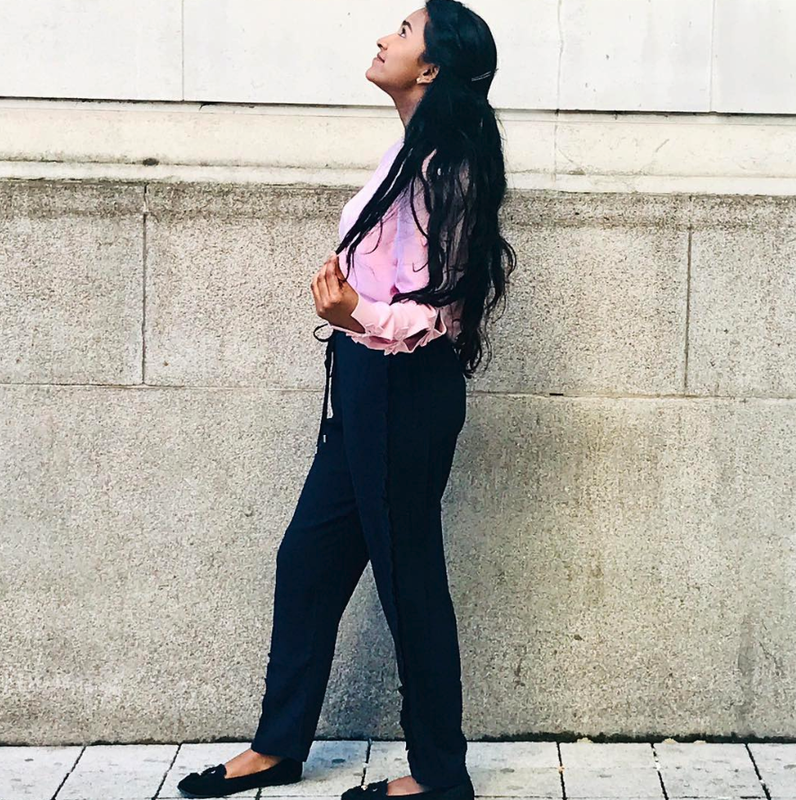 Instead of going straight into medical school, I decided to go on and do a masters in public health at Imperial College London which a lot of my previous posts would explain. A masters in public health really set me up for medical school, especially with regards to my personal statement and interviews. I was able to bring in real-time experiences, situations, and current topics I studied for my answers. On top of this, my masters has acted to strengthen my quantitative skills which were non-existent before. I was someone who would get D's, E's, and even a U in Mechanics during A level math, and turned a corner and managed to achieve 91% in a masters-level statistics exam. It eradicated my fear of math completely. A majority of medical school interviews are MMIs which means they are multiple mini interviews, and some stations have a quantitative station that assesses your ability to answer math questions quickly and efficiently. 18 year old me would've peed myself at such a thing. Come July 5th 2018, I decided to sit the UKCAT. I did a whole in-dept post about my experience here but my mark was 680 Band 1 which was competitive enough for undergraduate medicine applications. I was disheartened initially as it meant that many graduate entry medicine courses were out of reach. Nevertheless, I managed to come across a few universities that were going into clearing for medicine. I was really surprised as such a thing was unimaginable when I was taking my A levels. I applied to two universities. One university got back to me quite quick saying I was ineligible for the lack of Anatomy and Physiology in my undergraduate degree. This was a new university who was taking their first cohort of applicants for 2018 so perhaps its for the best. The second university took many weeks to get back to me. I received the invitation for an interview on July 31st Tuesday and my interview was on August 3rd Friday. So I had little notice but that was better than no notice! I revised a few of my public health lectures, re-read my favourite research articles, and brushed up on some speedy math skills for my MMI. I didn't feel too stressed because I knew that this wasn't my only option. I do believe that really helped me to perform well. Knowing in the back of my head that this was a spur of the moment decision, and I could still apply for 2019 entry whilst having both a bachelors and a masters under my belt gave me reassurance that I can pave a future for myself if medicine doesn't work out. I had a plan B unlike my A levels. In addition, depending on your situation, I advise against informing many people about applying. I didn't inform my parents or family and that did wonders for me: if I didn't get in, no one will ask about it. That eradicated a lot of fear. Nevertheless, if you have family and friends that are genuinely supportive from the get-go and could potentially help in the process, do not hesitate to let them know. We were told that results will come August 16th so you can imagine the shock when I received my offer August 9th. I was in disbelief and cried litres of tears. Since not getting into medicine in Year 13, I was told I wasn't good or smart enough to become a physician, I was never going to be good at math, and that I was really bad at science (LOL). Supposedly, I am 'struggling' in life because I applied for a masters instead of getting a job straight from my bachelors despite it being at a world renowned institution. If getting into medical school means I am 'struggling' then that individual is in a parallel universe. I was told I cannot even take one simple test properly despite getting the highest mark in math section for my UKCAT (which I've discussed in a separate blogpost) which we all know is one of the most time-pressured and stressful exams created. I proved all the disbelievers wrong- whether they use their sense to accept the truth or not. You cannot dispute the fact that I got into medical school. Silently, I rose from the ashes. I can not only take exams, I have excelled in them. I can not only do maths, but I can do it well whilst understanding concepts and theories. I have gotten into prestigious institutions and my dream course under my own merit without loopholes. I proved that I can, I will, and I have. Be your own cheerleader, be selfish, and reach your goals. Do not let anyone, no matter who they are, put you down and belittle your self-worth and self-growth. No one expected me to become a doctor when I was 18 and now here I am writing this- something I never imagined before. If they are not ready to see and accept your growth, then their words are worthless. When a foundation has huge claims, a waiting list of over 25,000 when released, and costs less than £6, how can one resist? I have always been drawn towards BB creams, CC creams, or tinted moisturisers instead of foundation. This is for multiple reasons: 1) I fear becoming dependent on foundation to the point where I cannot leave without it because it's that good 2) a majority of foundations feel too heavy 3) they oxidise and look ashy on the skin. Unfortunately, I think fear one may come true. Like anyone, I did some research on the foundation online, especially in my shade of interest. I was skeptical about whether or not it would match me as sometimes it's difficult to find the right shade in-store let alone online. However, to my pleasant surprise, the range is vast enough to encompass deeper skin tones of various undertones which most would understand is quite rare. Although I have warm and yellow undertones, not every deep skinned individual has yellow undertones so catering towards pink, red, and neutral also is very wise and ensures that the range is all encompassing. Here is the list of foundation shades in MAC vs The Ordinary for reference. For context, I have normal-combination skin meaning I have an oily T-zone and then occasional dry patches of skin around my jaw and cheeks. My forehead does display a lot under-the-skin blemishes which is frustrating. This foundation will blur out imperfections, but unlike pigmentation or discolouration, it cannot completely eliminate raised areas. However, no foundation on the market can eliminate zits and pimples so this shouldn't come to a shock. The most it can do is blur it out. 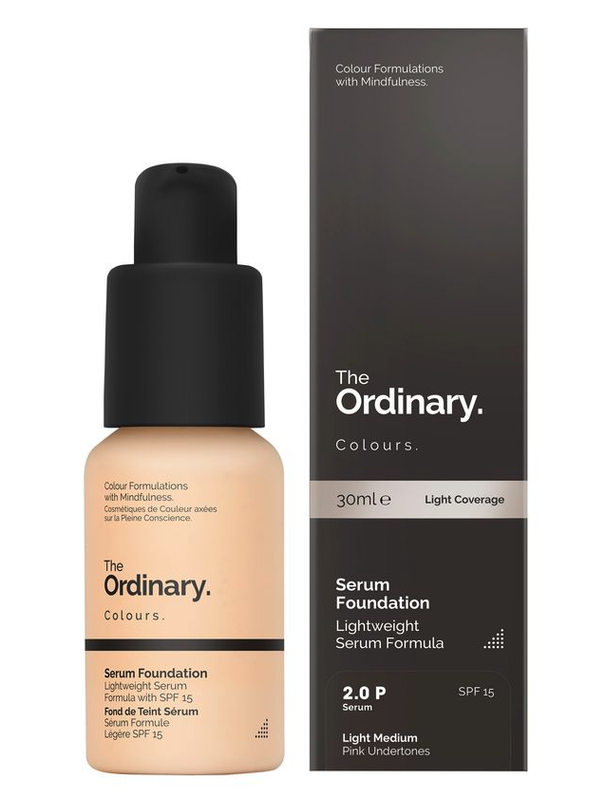 The foundation itself is advertised as light to medium coverage. To emphasise, it really depends on your natural skin type and quality. In my opinion, although it feels extremely lightweight, I believe that the coverage of the foundation can lean on the side of medium if your main concern is discolouration. The serum foundation is perfect for those with dry skin in my personal experience and has not accentuate any oiliness on my T zone. Obviously, if someone has significantly oiler skin than myself perhaps looking into The Ordinary Coverage Foundation would be a better idea despite it not being as lightweight. Most drugstore foundations can range from £5-£15 with less quality and coverage in comparison to The Ordinary. Even well known low-priced brands such as ELF have upped their prices! Therefore, to have a foundation that costs less than £6 will not break the bank in most cases. Furthermore, I made the initial mistake of using a full pump but you only require half of a pump applied evenly all over the face. I used a brush instead of a beauty blender or sponge which would, inevitably, absorb more product and ensure less wastage. 9:00am: I applied the foundation for the first time using a brush. I cleaned my face and put on moisturiser first to make sure I had a smooth base for application. I found that it was very quick and easy to apply, it did not set quickly or at all so I didn't have to tug and pull. 11:30am: I was surprised to find that the foundation did not oxidise alongside no ashiness around the mouth area. There is minimal transfer of the product on clothes or when I rub my face. 12:30am: I don't notice any significant changes on my face with use of this foundation. It feels as though I have nothing on and it does not look cakey or obvious that I am wearing any form of foundation or tint on my face. It looks very natural given that it blended so well into the skin. 2:00pm: Looking very fresh. I am still surprised. I am noticing a little bit of fading around the nose area as a result of sweat so setting this foundation with a powder or simply setting spray can increase the longevity of this product by miles. 4:00pm: I woke up from a nap (yeah I know I'm basically an old lady) and found that the foundation did transfer slightly on my shirt when i rubbed my face but otherwise it doesn't look obvious. The foundation fades evenly off of the face so it does not become cakey, gloopy, or unflattering. Again, note that I didn't use setting spray or powder so that could change results significantly. Nevertheless, despite slight fading and my natural skin shining through, there is still no ashiness around the mouth which is a huge plus. All in all, I highly recommend trying this out especially for the price. It will have your higher end foundations a run for their money! If you haven't read my first post on week one please do so here for more information, my first fit test results, and tips on how to get through the workouts. I've successfully finished week two of the work outs but I must admit a blunder. I did indeed miss one day in my schedule after subbing in a rest day due to fatigue and travel. Nevertheless, I didn't miss it long enough to have to start the regime over again. Bar the suicide jumps (aka. burpees), I was impressed with my overall scores. I managed to demonstrate progress in 7 out of 8 of the exercises. It's evident that my percentage of improvement decreases as you go along because I grow more and more tired. Nevertheless, the fit test feels a whole lot easier compared to the actual workouts in the program. I was most impressed by my power jumps because those require a lot of power but I managed to do 30 in a row and take breathers afterwards. However, I must say. Given that I knew what scores I had to beat prior to the fit test that probably innately motivated me to push further because I had a threshold to cross. With that in mind, take these numbers with a pinch of salt. The real results come in three weeks when I come to take the fit test again because we have a recovery week. That's right, folks. A work out regime so hard that you need one whole week for your muscles to regroup. The hardest work out for me continues to be the 'Pure Cardio' exercise which involves a 10 minute 30 second warm up and then 15 minutes straight of plyometric style exercises with no breaks. Of course, you can take rests as you require which I do but I try to push as hard and far as I can before I need to take a time out. To add fuel to the fire, this week involved doing both the 'Pure Cardio' and 'Cardio Abs' routine because the pain just isn't enough. I struggled a bit with the cardio abs but because the exercises are similar to ones I did with Kayla Itsines' Bikini Body Workout, it wasn't too much of a struggle. However, the exhaustion carried over from doing pure cardio did make it harder. In terms of feeling or looking different, my leg muscles do seem to feel more prominent although I look the same in the mirror. I haven't noticed any drastic changes but my stomach does seem to have shrunk a tiny bit and I have a slight outline of abs in the morning but that immediately goes after I eat. When I'm bloated, my stomach doesn't seem to protrude as much as before. 1. Keep your core tight as much as possible. Sometimes my brain struggles to do two things at once. However, keeping the abs engaged will accelerate your road to a toned tummy. 2. Take baby sips. It really helps to stay hydrated and cool- I underestimated the power of water. 3. Other workouts feel like a piece of cake. Why did I struggle so much doing KI BBG? It really goes to show how much the mind plays a role in exercising and also when you have a timer that is out of your control like the one on these work out videos, it acts as a powerful incentive to keep pushing. For example, without a timer I may stop earlier but seeing that I only have to go hard for another 2 minutes acts as a powerful motivator. How I Remove my Makeup Drugstore Edition! If you're like me, it's hard to sacrifice money for expensive skincare products which could risk you breaking out or do the same as the drugstore alternative. Here is my effective, efficient, and cheap way to take off all your makeup to get more bang for your buck! The total time taken to take off all my makeup thoroughly: 10 minutes. Perfect if you just want to hurry into bed ASAP.